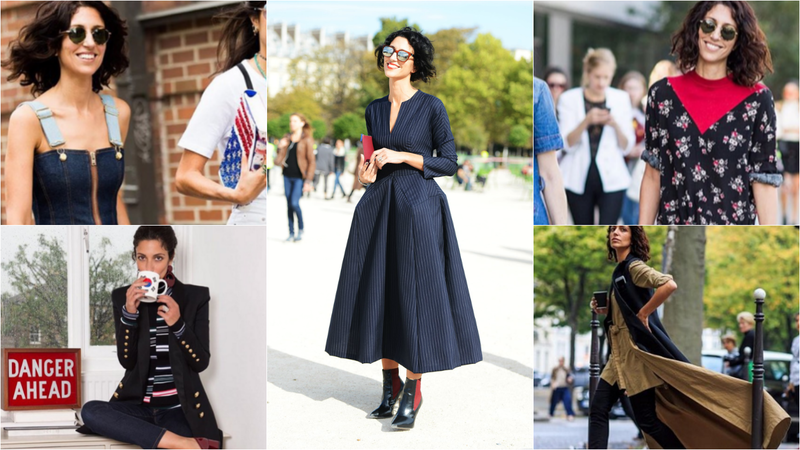 Yasmin Sewell: Can the queen of cool make Style.com fly? Everyone knows by now that Yasmin Sewell has been named Fashion Director of Style.com as Condé Nast shifts it from a runway-meets-street-style editorial platform to an e-commerce powerhouse that lets readers buy the products they see in the publishing giant’s print editions. She started yesterday, reporting directly to Style.com president Franck Zayan. So, on the assumption that’s she’s now got her favourite mug in the Style.com kitchen and knows her way to the microwave, it’s time to ask – is it a good move? For Sewell certainly. She was already big league but this appointment propels her into the stratosphere. Is it good for Style.com too? Judging by the column inches it’s generated so far, yes. It’s certainly an interesting appointment as the new Style.com hands her a much bigger remit than she’s ever had before. Sewell has previously been a senior fashion consultant at Liberty and Browns and is one of the names behind upscale T-shirt label Être Cécile. Now there’s no denying that this is a good CV. But it’s also worth noting that Browns is among the most niche of the high-end-boutiques-turned-e-tailers, Liberty is the most niche of London department stores and the Être Cécile label is also pretty niche. Style.com, by contrast, is going to be BIG (at least Condé Nast hopes so). So what will Sewell bring to the new offer? “Yasmin’s unique vision for products, trends and talents will be pivotal in Style.com’s growth,” said Zayan. For those of you don’t speak Corporate, that means someone who’s charted a career through showroom creative director, consultant, purveyor of T-shirts-to-the-affluent and street style megastar without ever putting a foot wrong. She’s got a taste level most of Condé Nast’s readers would envy. She knows about start-ups too, and her 87,000 Instagram followers may seem small compared to Justin Bieber or Katy Perry but, as we all know, 87,000 of the ‘right’ people mean so much more than millions of the wrong ones. That may sound like I’ve got a bit of a girl crush but anyone who can make unruly hair look good and who usually looks happy rather than the usual fashion industry scowl is top flight in my book. Plus she’s tall, slim, and oozes cool without making it look like she’s tried too hard. That’s always a plus for height-challenged individuals like me. But to be a bit more serious, Sewell and Style.com are operating in a sphere where personal style counts. Fashion influencers aren’t called influencers for nothing. They make us want to buy into what they’ve got and that is just as important as the millions Condé Nast is pouring into the new operation.